New Orleans is the perfect city to serve as the location for The Root’s latest Young, Fabulous and Female event. NOLA is so richly marinated in black culture and history, it’s hard to ignore it. It croons sultry jazz and stands tall in unbreakable resilience. And the professional women who reside there? Well, they exhibit the spirit of New Orleans: determined, tenacious and beautiful. These were exactly the women who showed up at YFF in NOLA. 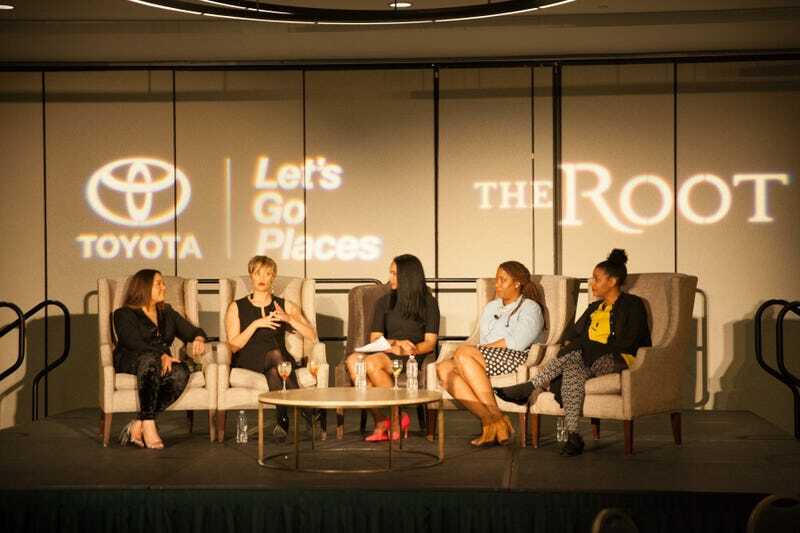 The room was nothing short of refreshing as women buzzed about making genuine professional and personal connections, sampling delicious New Orleans bites and taking in prophetic words of wisdom from our esteemed panel. The president of the Orchid Society, Ariel Wilson; the director of events and catering for New Orleans’ own Calcasieu, Brandy Trepagnier; the executive director of Project Butterfly New Orleans, Rashida Govan, Ph.D.; Nomadness Travel Tribe founder Evita Robinson; and our moderator, WWL-TV Eyewitness Morning News anchor Sheba Turk, combined their #BlackGirlMagic to share their stories and offer advice and tangible tools to help our guests take whatever they’re working on to the next level. #KnowTheUnknown was the name of the game at this event, and the panelists helped each woman in the room not only confront the unknown of her own career but also tackle it head-on. One of the guests even commented in her thick Bayou accent, “New Orleans was starving for this type of event.” The Root is happy to have been the food the women of NOLA needed.